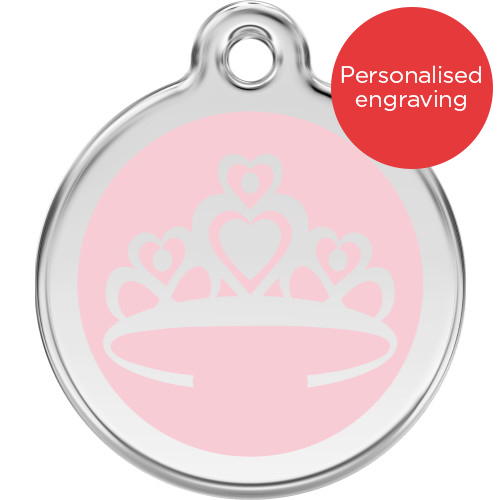 Red Dingo's range of engravable dog ID tags come in a dazzling array of colours and designs to suit the tastes of all types of canine customers! Manufactured from stainless steel and enamel, these rugged yet smart tags won't break rust, or corrode. Red Dingo Dog ID Tags are 30mm in diameter, and sent with love to you, fully engraved by Red Dingo. Your Red Dingo ID tag will be dispatched separately from the rest of your order, and should reach you within 5 working days. Engraving will be automatically centered and resized to fit. All text will be capitalized. If you are ordering from a mobile device we will contact you to collect the details of your engraving.